William Gropper was one of the great American cartoonists and illustrators of the twentieth century. A student of George Bellows and Robert Henri, he was a prolific newspaper cartoonist, WPA muralist, Guggenheim Fellow, and committed political activist. He was also a master of visual storytelling, best seen in his only full-length narrative work, Alay-Oop. First published in 1930, this lost classic of the graphic novel presents an unusual love triangle: two circus acrobats and the honey-tongued schemer who comes between them. 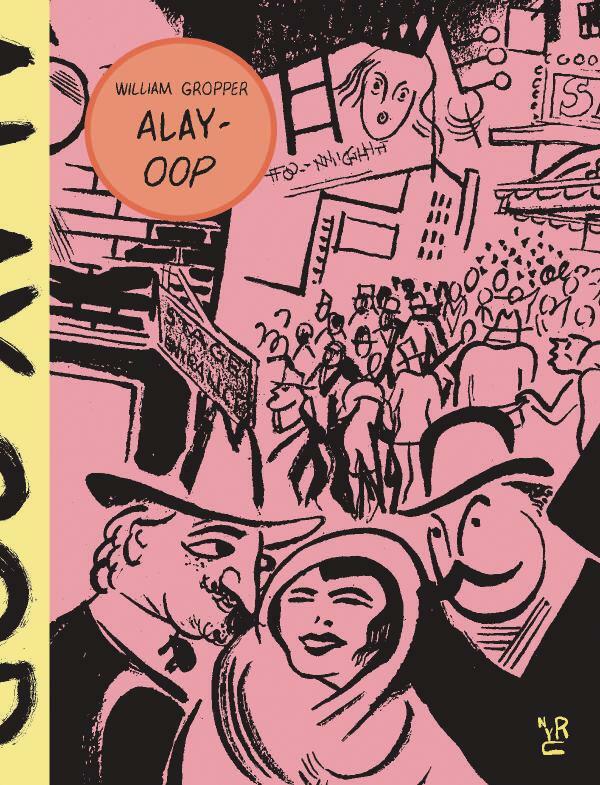 In page after page of charming, wordless art, Gropper takes us from the big top to bustling New York streets, from a cramped tenement apartment to the shifting landscape of a dream, as his characters struggle with the conflicting demands of career, family, and romance.